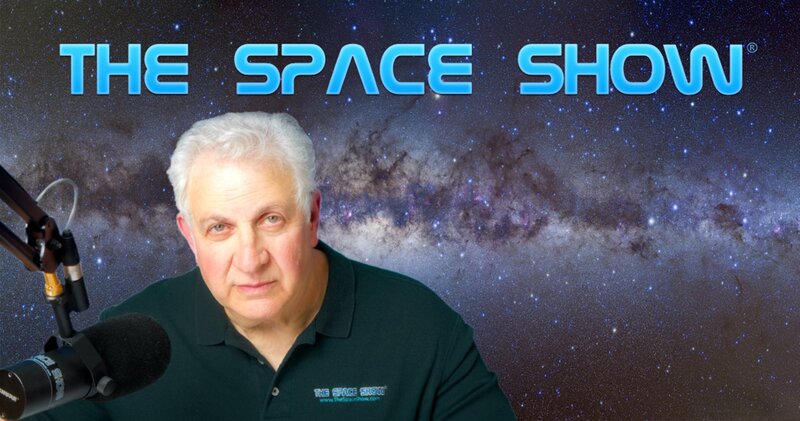 We welcomed Ian Fichtenbaum to the show for a 95 minute two segment discussion about space industry acquisitions, industry trends, risk management, manufacturing and infrastructure needs, the Deep Space Industry acquisition from2018, and much more. We started the discussion by asking our guest to introduce us to the space industry acquisition business. The initial discussion was extended to talk about all segments of the business and industry, infrastructure, manufacturing, management and more. We talked about these segments for both terrestrial and space ventures. Also discussed was risk. Don't miss what Ian had to say about space industry and business risks in both our program segments. I suspect you might be surprised by some of his comments. Let us know what you think of the risk issue by posting on our blog. Of the many topics that were talked about during segment one, the question of failed businesses and if they were a hot item for acquisition was mentioned. XCOR was one such company mentioned in the email by listener Jack. Ian was very familiar with the XCOR story and the issue of businesses facing trouble and what that may mean for a potential buyer or for the company finding a way to save the company. Once again, listen to this important discussion. It was certainly educational. Listener Kyle called to talk about the acquisition of Deep Space Industries (DSI). Kyle's questions and comments seemed to focus on the DSI Comet water based propulsion system for small sats and the Xplorer deep space bus that Ian talked about extensively during our discussion. Listen carefully for Ian's definition of deep space because that is what was and is meant when used with DSI and Bradford projects. Briefly, Ian refers to deep space as being anything past GEO but be sure to hear his full definition of the meaning of deep space. Another topic was debris mitigation. Here, our guest talked about ECAPS and the company in Japan that was just talked about on a recent Space Show with guest Chris Blackerby. We talked about microsat thrust and nanotech propulsion. The debris mitigation field as you will hear was and is a field of interest for Bradford. In the second segment, Ian was asked about his personal history in addition to his educational degrees and accomplishments. Listeners wanted to know how he got the expertise to do space industry acquisitions. Ian described his work experience starting with Near Earth LLC and Hoyt Davidson who has been a Space Show guest in the past. Ian talked about his six years with Near Earth, detailing what he did to get the experience he needed to do acquisitions with Bradford. Ian talked about transitioning to AIAC, working with the owner and eventually going after space acquisitions which took some time until he found the first target. This was a fascinating story but also very worthwhile, especially for those starting out in a space career and wanting to be or do specific things in the space field. Ian's path showed how he managed to work himself into doing what he does today, how he acquired the expertise, who he learned from, all of it. Near the end of the program we switched the topic to risk in space businesses. Ian had much more to say on this topic than our fist segment discussion so don't miss it. This was especially true when I asked him if it was easier to do a merger with a US business or a foreign business. You definitely want to hear Ian's response to this question. And you definitely want to remember what he had to say on the topic. Ian was asked about future trends in the industry. He talked about the need to develop ground infrastructure which he explained in detail. Even when asked about developing cislunar space, building depots and refueling stations, all of which he agreed was needed he said the pressing need was the ground based infrastructure including advanced development of the supply and manufacturing chains. Very near the end of the segment, our guest was asked about national security and DOD space and the Bradford interest in these areas. He said there was a strong interest in it but listen carefully to this discussion. He was also asked about human spaceflight. Again, don't miss what he said, especially about human spaceflight experimental hardware, the commercial use of such hardware (crossover), the ISS, and more. Please post your comments/questions on TSS blog for this show. You can reach Ian through me or the Bradford website at www.bradford-space.com. The AIAC website is www.aiac.com.